Bollywood actor Neil Nitin Mukesh, who tied the knot with Rukmini Sahay in a traditional Hindu wedding arranged by family elders in 2017, took to his Instagram account to post about the happy news. He and his wife Rukmini are in the family way and will become proud parents soon. Now we will be THREE ?? He broke the news of his wife’s pregnancy on the photo-sharing app in the most adorable way possible and people on social media started sending out congratulatory messages to the family. Neil stated that the family will soon have three members and it kept everyone talking on Twitter. Neil, who last appeared in Rohit Shetty’s ‘Golmaal Again’ last year, turned composer and recorded six tracks for a movie recently. The ‘Johnny Gaddar’ star, who has his hands full with two upcoming films ‘Saaho’ and ‘Firrkie’ said that he is yet to take in the happy news, but is also exited to enter into the next phase of his life. Wishing for a healthy child, boy or girl, Neil also said that the entire Mukesh family is looking forward to welcoming the new baby. 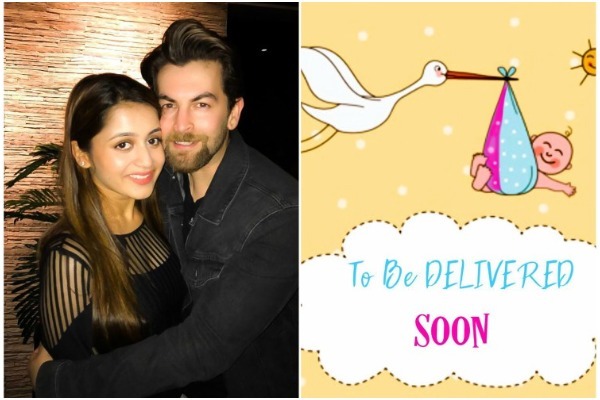 After Shahid Kapoor-Mira Rajput and Sania Mirza-Shoaib Malik, news of Neil Nitin Mukesh and Rukmini Sahay’s pregnancy has given social media more reason to rejoice!